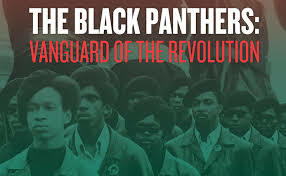 The Black Panthers: Vanguard of the Revolution is a 2015 documentary directed and written by Stanley Nelson Jr. The Black Panther Party burst onto the scene in the late '60s, standing up to police brutality and murder, taking out a message of revolution, drawing forward thousands of Black youth. It was viciously attacked by the government. The director sets out to tell the story of the rise and fall of the The Black Panther Party for Self-Defense by weaving together rare archival footage, interviews with ex-Panthers and others, and music.